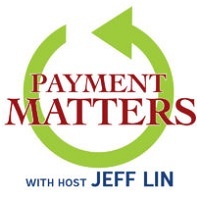 Payment Matters will bring fresh perspectives on how providers, payers, and consumers are dealing with the evolving healthcare payments market. The show will be hosted by leading payments expert and healthcare veteran Jeff Lin, and will debut on February 12 at 12:30 pm Eastern. HealthcareNOW Radio has announced the latest show to join its line-up of industry leaders and experts hosting educational content for the healthcare and health IT listening audience. Payment Matters will bring fresh perspectives on how providers, payers, and consumers are dealing with the evolving healthcare payments market. The show will be hosted by leading payments expert and healthcare veteran Jeff Lin, and debuted on February 12 at 12:30 pm Eastern. You can hear it streamed live in that time slot at https://HealthcareNOWradio.airtime.pro. Some of the topics Jeff and his guests will discuss include new expectations of consumers, the increasing risks associated with security and compliance, and what the latest political debate or national headline really means for providers, payers, and consumers. As the Senior Vice President of Product Management at InstaMed, Jeff leads the ongoing product innovation of the company’s healthcare payment solutions. He is a visionary business and technology executive with 15 years of experience in product strategy, product development, and business development, and has deep domain expertise in both payments and healthcare. Before joining InstaMed, Jeff was an executive at Accenture, where he led enterprise projects for multiple Fortune 100 companies. He currently serves on the HIMSS Revenue Cycle Improvement Task Force. InstaMed is healthcare’s most trusted payments network, connecting providers, payers and consumers on one platform. The InstaMed Network connects over two-thirds of the market and processes tens of billions of dollars in healthcare payments annually. InstaMed reduces the risks, costs and complexities of working with multiple payment vendors by delivering one platform for all forms of payment in healthcare, designed and developed on one code base and supported by one onshore team of experts in healthcare payments. InstaMed enables providers to collect more money from patients and payers while reducing the cost and time to collect. InstaMed allows payers to cut settlement and disbursement costs with electronic payments and facilitate consumerism for their members. Visit InstaMed on the web at http://www.instamed.com.